Individuals considering fighting a deportation order often opt for hiring a lawyer that specializes in deportation. The ultimate choice for a representative lies with the individual, and this should not be a rash decision. The first lawyer in the phone book should not be the first and last choice when considering a deportation attorney. Usually, individuals looking for the best possible representation will check with trusted family members of friends for recommendations. Another good place to look is through Internet sites and forums that provide testimonials on first-hand experience with specific lawyers. If an individual still has difficulty finding representation that suits them, they should check with local organizations for pertinent advice. Since a deportation order can be unexpected and come to an individual suddenly, affording a deportation lawyer can be quite a difficult task. Considering the majority of illegal immigrants sit beneath the poverty line, the possibility of affording decent representation presents a difficult consideration. The first way to determine if an individual can afford a deportation lawyers is to check with a number of firms and check if they provide a free consultation service. At this first meeting, a lawyer can break-down the expected cost and will sometimes cater to an individual's need depending on their income level and amount of time required on the case. Also, many laws govern deportation and some present unavoidable obstacles, so an individual should make sure they have possibility of success before investing in the large expense of a deportation lawyer. Although it is often not recommended, an individual representing themselves in a deportation hearing is sometimes unavoidable. Due to financial worries, many immigrants facing deportation simply lack the resources to even consider hiring an attorney to fight a deportation hearings. In these situations, one should often consider still sitting down with a lawyer that offers free consultation to learn more about the facts of the case and to receive any possible suggestions that may aid an individual in avoiding deportation. Individuals that eventually decide to represent themselves should conduct research through various means. Among the most obvious include legal publications based on deportation or internet websites that run forums dedicated to legal assistance for individuals fighting a deportation order. Another option that individuals have that are facing a deportation order is to search for free legal advice. Although often hard to come by, some services exist to help individuals receive a stay of deportation or fight the case all-together. 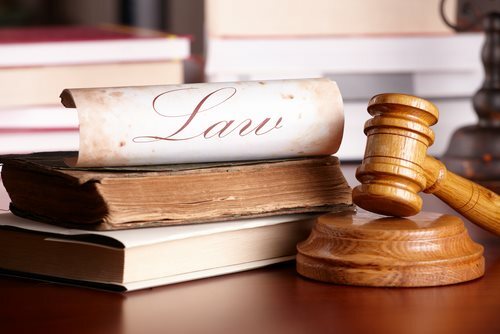 First, as recommended in nearly all situation, an individual should at least sit down with an attorney that offers free consultations to learns as much as possible about the case. Most important, an immigrant facing deportation should gauge whether the hearing is winnable. Beyond websites and legal forums, and individual can also call local state and federal representatives for a list of numbers to organizations that run free legal advice centers. Most cities offer a breadth of not-for-profits and similar organization dedicated to cheap or free legal assistance. Especially in areas with high immigration numbers, services that offer free legal advice are often present and simply require the meeting of certain criteria by the applicant.